So obviously this recipe isn’t edible, but I thought with summer coming up, this would be a fun recipe to share. 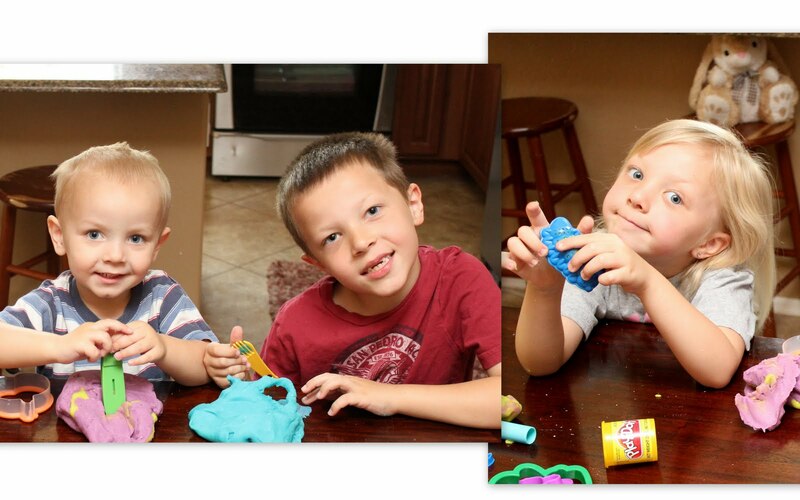 My kids love playing with playdough, but we also have so much fun making it. 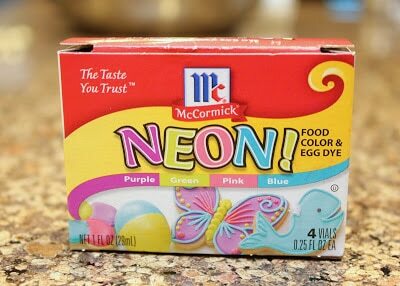 I like to use Neon food coloring, especially with it being spring, because the colors come out brighter. 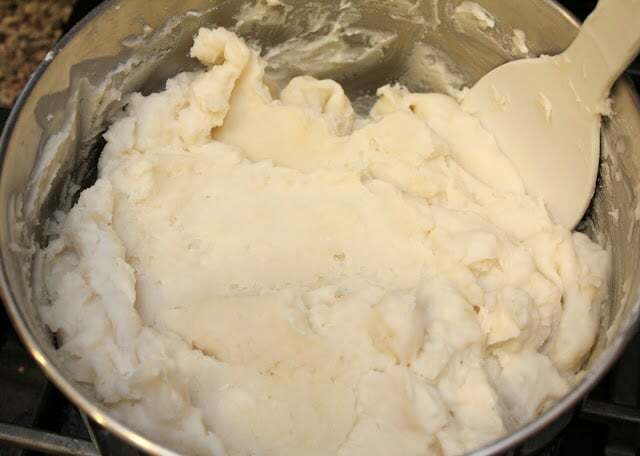 Also, I make my play-dough just a little differently then the normal recipe says. A normal recipe tells you to add the food coloring in with all the ingredients before cooking, which has it’s pluses and minuses. The good thing about it is, the color is mixed in right away and comes out just a little brighter then it would kneading it in. The down side is, you are only getting one color of playdough per batch. So I don’t add the coloring till after I’ve cooked the dough, but you can make it either way, I just do it differently. Enjoy!! Estimated Cooking Time: Less then 10 minutes. See Also: Halloween Fun for Kids!! Place all of the ingredients, except food coloring, in a medium saucepan. Cook slowly on medium-high and stir it until the playdough thickens. After the dough has come together dump it on a floured surface and knead for a few minutes. Separate into equally sized balls. You will want one ball per color. Flatten the ball out and drop food coloring into the center. I usually to 6 to 8 drops, but it will very depending on how much playdough your adding it to. Fold dough on itself so you can no longer see the food coloring and knead until dough is an even color throughout. My kids love to help at this stage, and sometime even like to leave the dough kind of a tie dye pattern. 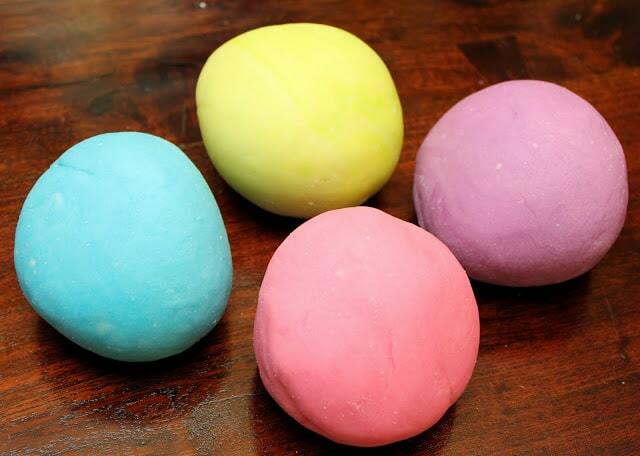 Just knead the dough a couple of times first so the food coloring wont drip out while your kids are kneading the dough. Now break out the toys and have some fun! !